Dividing your group into multiple cars means coordinating a large caravan of people -- and that can lead to group members arriving late or getting lost. 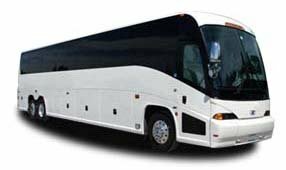 Book a 56-passenger charter bus to keep everyone together for a fun, relaxing trip in and around Charlotte. We’re dedicated to getting your group where you need to go safely and on time. Trust Charlotte Charter Bus Company to streamline your charter bus travel plans in and around North Carolina. We’re here 24/7 to assist you in booking your rental, and we’re with you every step of the way. Call us today at 704-302-1258 for your free, no-obligation quote!